In Greek mythology, Amazons were a special tribe of fierce women who lived the life of a soldier, riding their horses and fighting on the field of battle as tough as men did. 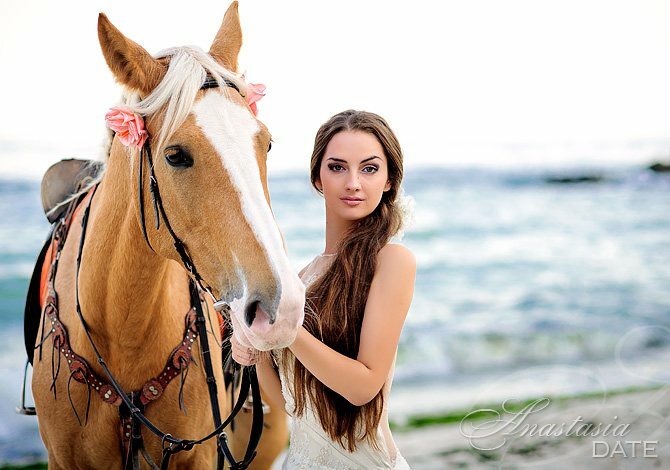 Luckily, there is no reason to enter a battlefield today, but some women’s relationships with their horses are unique and unbreakable. Meet the most wonderful modern-day Amazons on our Irresistible Five list today. They love taking care of their horses and enjoy the freedom that riding them gives them. Meet today’s breath-taking Amazons and find out more about their exciting personalities. Impressive Alina likes modeling as a hobby. The first Amazon on our list is a girl from Kharkov, Ukraine. The blonde 22-year-old is a romantic girl who describes herself as “an old-fashioned woman who believes in true love, soul mates and taking care of each other.” Alina loves singing and spending time with friends, while she has taken part in a number of commercials, seeing modeling as a hobby. The pretty designer describes her ideal man as “a man with the heart of a lion”. The Ukrainian beauty wants to meet a man she can admire. Our second Amazon is Eugenia, a 26-year-old tourist agent who also hails from Kharkov. The sweet girl says she is a one-man woman who is giving and sensuous. In her free time, she takes acting lessons and loves to act. She is also a fan of fitness, cooking and traveling. Her type of man is someone who will win her admiration and trust. She says he needs to be smart, strong and confident, with a passion for life; a tender and caring gentleman. The impressive green-eyed girl is ready to meet a man without whom she won’t be able to live. We are halfway through our list, and it’s where we find gorgeous Anastasia. The green-eyed beauty from Odessa describes herself as an “unread book”, but she promises to be honest with the man who will win her heart. Anastasia loves soccer and hockey but is also into growing orchids and cooking. Her kind of guy is someone who will become absolutely necessary for her life, and who won’t be able to live life without her either. The 31-year-old mother of one is a positive and passionate woman. 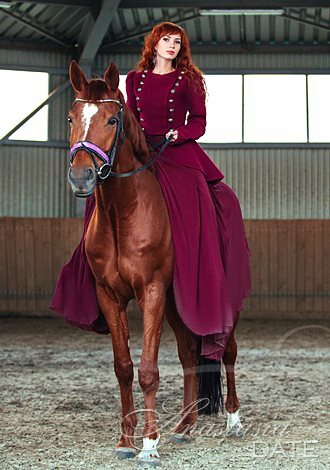 The last spot of this unique list belongs to Viktoria, a fiery red-head who is very passionate about horses – she says they give her energy. The 31-year-old beauty has a young daughter and describes herself as “cheerful, emotional, romantic, easy-going, light, and (able to) make a bright atmosphere for her man”. She also promises to be the best friend and most passionate lover he can find. In turn, he needs to be attentive, kind, positive, strong and attentive. She’d also want his dreams to be the same as hers so that they can move together toward the same direction. Whether you share their love for the marvelous animals that are horses or you have never been close to one before, we are sure you enjoyed our modern-day Amazons list today. Until next week, when we return with another amazing list, you can read more on the ladies by clicking on their profile names, check out previous lists, or browse more amazing Eastern European girls on AnastasiaDate.